Animal prints? I definitely consider them a classic now. Whether they're graphic black and white zebra prints, to (my personal favorite) leopard spots, they're one of the best, and fun, ways to add that extra oomph to your basics. 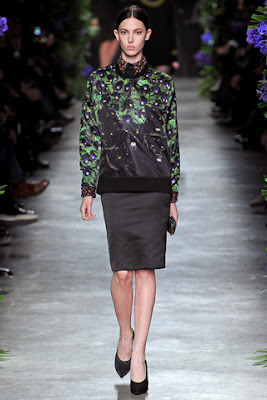 But lately, patterns aren't the only thing that's prowling the fashion jungle. We've seen a lot of animals cavorting on nearly every article of clothing, be it tops, dresses, bags, and shoes. Remember the playful Prada monkeys from Spring 2011? Riccardo Tisci went wild with panther prints. Love them! Ok I know it's impractical, but I kinda want this cat's ears baseball cap. 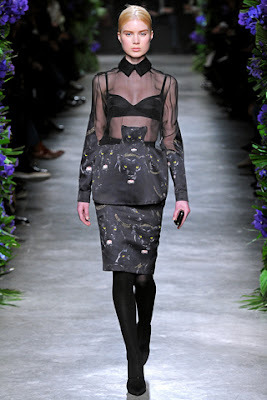 And that sly sheer skirt. 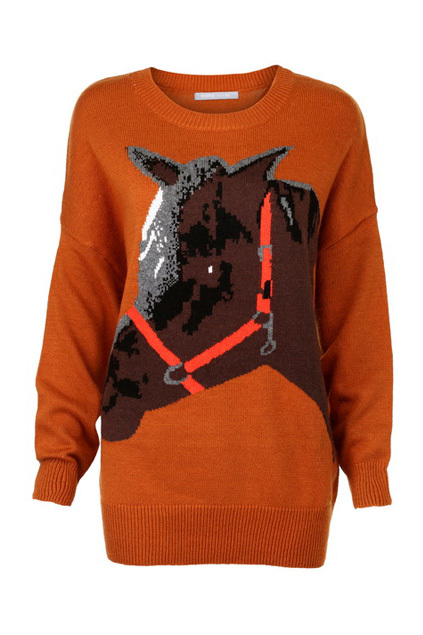 Horse head jumper, ROMWE, on sale at $60.29. Have I already whetted your style appetite for animals? Yes? Then I'm pretty sure you'll love our latest collection now live at Martina-Martina.com. Our Kingdom Animalia collection is a lovely zoo of creatures that you can wear day and night, in or out of the office. 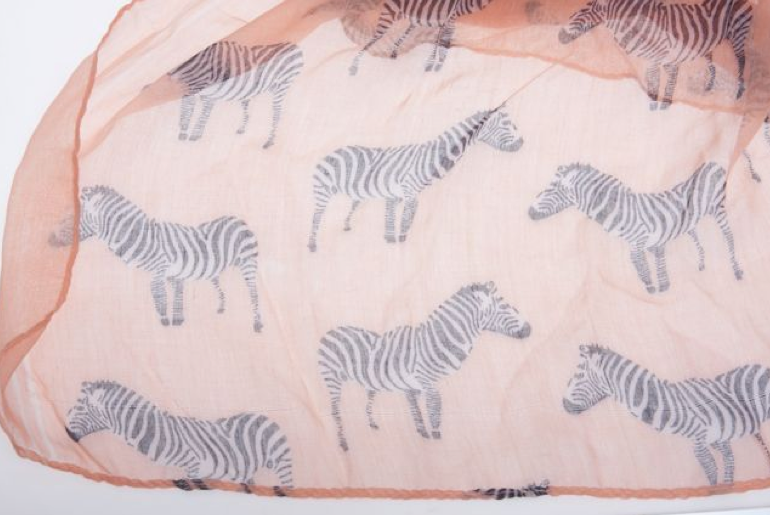 My favorites include the zebra-print scarf in salmon, an oversized wrap that I'd wear with a mini dress, or a cute pair of leather shorts and a tank. 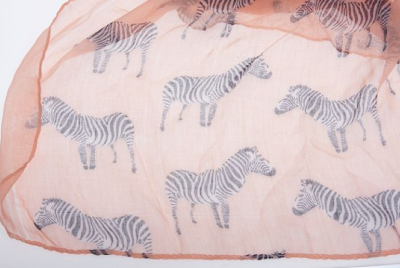 Isn't this print so cute? 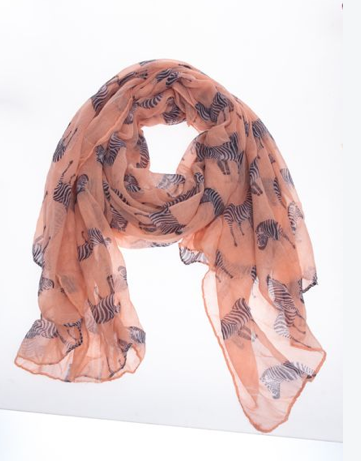 And the scarf is quite sheer, so your neck won't feel like it's in a sauna! It's also quite long so you can wrap it several times around your neck. 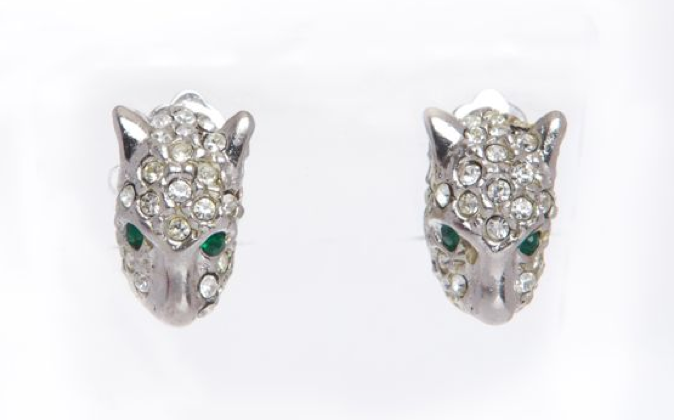 There's also the leopard head earrings, a fancy pair of clip-ons that I find quite sosyal. Finally, there are the brooches. I know people normally don't wear them, but you can accessorize with them more creatively. 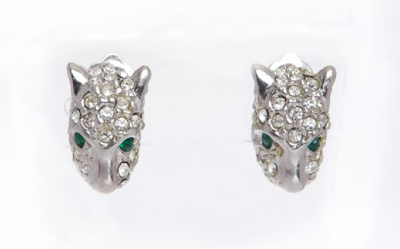 And it's not as overexposed as other jewelry pieces, so they stand out more. 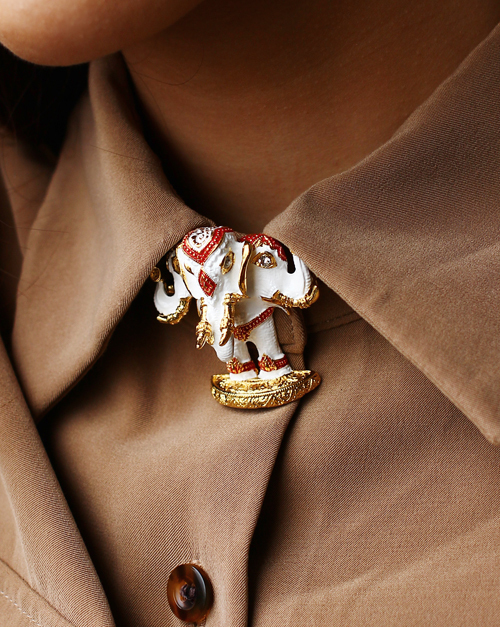 Our white elephant brooch, worn as a collar accent. 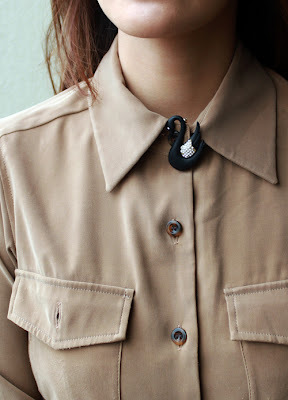 Instead of wearing a necklace, why not accent your button-up top with our black swan brooch? 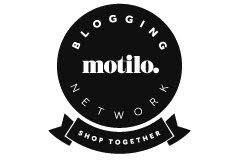 So do come and visit our shop to browse through our latest collection. We promise you won't be disappointed! I won't keep you in suspense any longer, the lucky girl who won P50,000 from Smart Money is Angel del Rosario of Asian Vogue Shop, online vendor of on-trend bags, and footwear worthy of your favorite K-Pop and J-Pop stars. I blogged about their piano bag in one of my ShopSpotting posts, but I have to admit, their shoe catalog is quite impressive. The winner was announced last Saturday at a fun yet intimate event which I hosted at the Smart Jump Experience center at SM Megamall. I wish I had photos to share, but I was too nervous about my hosting gig, so I spent the time before the event rehearsing my script at the back office, and making a quick run to the Atrium for my first taste of Gong Cha milk tea (milk chocolate pearls = heaven!). I finally got to meet Jeff, Hazel, and the rest of the Smart Money team, as well as the Havoc Digital Media team who were all very nice. I was lucky to have worked with them for this project. Hazel's presentation on Smart Money was especially informative, and yes, Hazel, you have a convert in me! I had the belated sense to take a few outfit shots, not the very best, but I'm excited to share what I wore. I had on old dress from Una Rosa (katas ng gift certificate from my days as fashion editor), a simple tent shift that I love to wear (despite it being prone to creasing) because of its deep pockets. With my Ebay-bought Coach bag, and a thrifted silk scarf that I like to tie around the handle. I wore it with blingy sandals paired with fringe socks, which turned out to be quite a cute combo. Shoes, Vince Camuto. Socks, H&M. But the masterpiece was my ginormous green gumball necklace, a gift from my friend Pam in L.A., who gave it to me as a thank you for my styling advice. It provided the perfect pop of color against my black and white palette, and with the vintage rhinestone necklace I paired it with (another gift, this time from my old employer), the result was bling at its best. Other extras: Pearl coil bracelet, and rhinestone elastic strand, both from The Landmark. Studded leatherette cuff, random bazaar find. After the event, Pat and I went straight to Opus to meet up with some friends. It was my first time, and I felt like a little kid when they brought out the Grey Goose with the sparkler. The rest of the night went by in a dizzy blur. All in all, an awesome day. My LOL photo. I just had to share. Thought I'd give everyone a break from the fashion posts and share the song that's been on constant play in my mind for the past few days. Since first hearing this song on 99.5 RT, I've been anxiously trying to catch the title and the artist, but never managed to because the DJ signs off right before the song plays, or the tune is sandwiched in between tons of others that, when the DJ rattles off the titles, I can't figure out the order anymore. A few days ago, I got lucky. When the first strains of this tune started playing, I immediately ran to the radio and glued my ear to the speaker and hallelujah, finally caught the song and the artist. I've been awfully, awfully busy the past week. For one, we moved house and our new home looks like 11 balikbayan boxes simultaneously exploded in it (and I do mean this literally!). Then, three of Pat's friends decided to bless our new home with their presence, coming all the way from Canada to visit (poor guys came home to a very messy place!). And then there's the diving certification I'll be taking on Thursday, and my two chapter assignment that I have yet to read. 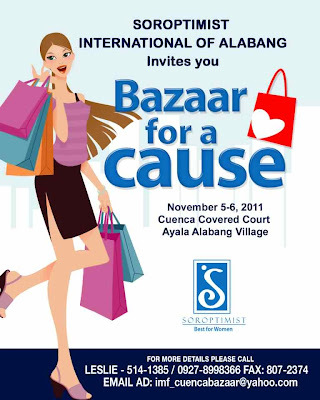 Oh, and a bazaar on Saturday we decided to join at the last minute that I also have to prep for. A lot, a lot, a lot of things to do and I don't know where to start. Really, sometimes I find myself standing in the middle of the living room or our bedroom just staring at the mess. I wish I could just "Evanesco!" (with matching wand waving) everything away! Martina-Martina will be at the Cuenca Bazaar this Saturday, November 5. 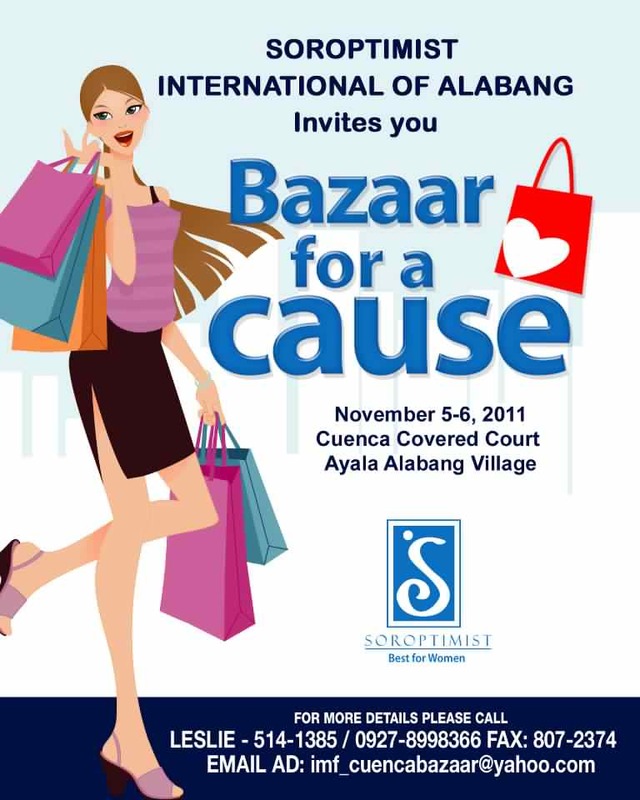 It's probably the only bazaar we're doing this year so do come if you want to see more pieces. This is your chance to preview and purchase pieces from our future collections—you get first dibs! But, enough of the ranting. I've got some exciting news and they're all about the two new collections we have up on our Martina-Martina shop! I've finally gotten around to uploading my sister, Nina's fabulous pieces, and you can already view and buy them now. There's only one of each handcrafted style, so better be quick to click if you love something. Plus, we've also uploaded our "I'm With The Band" Collection, an eclectic mix of wrist pieces that you'll want to hoard, and that you'll want to pile on your arm. Come to think of it, all the items in this collection can be easily mixed and matched! I consider leather bands as perennials—their style and wearability are long-lived! 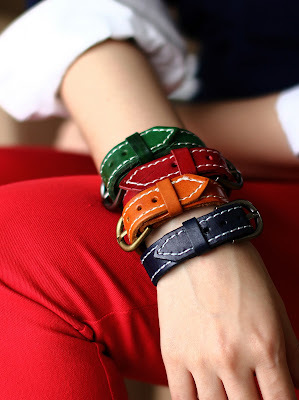 Buckle Up leather bracelets in Emerald Green, Brick Red, Desert Orange, and Navy, P350 each. I actually got to see these Loop De Loop bracelets being finished. 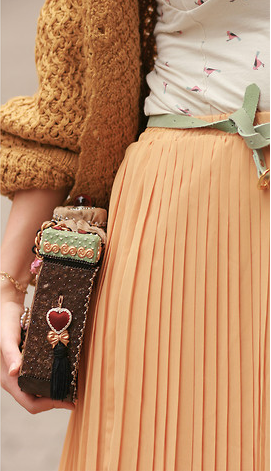 I love the substantial gold link hardware, and the crocheted style—all done by hand! Shown in Softest Pink, Bone, and Caramel, P795 each. And of course, a peep into the Hush Collection by Nina Dy. Why Hush? Because according to my sister, these necklaces make a statement without being over the top. Still, put them on and they add that little bit of drama to your outfit. Bow. Gotta love that royal blue/violet hue against the sunny yellow stripes!